The best varicose vein treatment depends on the severity of condition and the overall health of the person. Varicose veins can be more than unsightly. They may cause pain that gets worse when sitting or standing for a long period of time. If you have varicose veins or spider veins, you are not alone. They affect one in five adults and half of people over the age of 50 in the U.S. Although varicose veins are an indication of weak or damaged veins, they are usually more of a cosmetic problem than one that requires medical attention. Luckily, there are more than a few options for varicose vein treatment. Varicose veins have been described as blue, purple, red, bulging, gnarly, swollen, bumpy, enlarged, twisted, and snakelike, not to mention ugly. After blood has been distributed to the lower extremities of the body, muscles push it back toward the heart (against gravity) through veins. Those veins have valves—more like flaps—that prevent blood from backing up in your legs or pooling in your ankles. When the valves are compromised, the result is varicose veins. Varicose veins are the big, bulging, bluish veins. 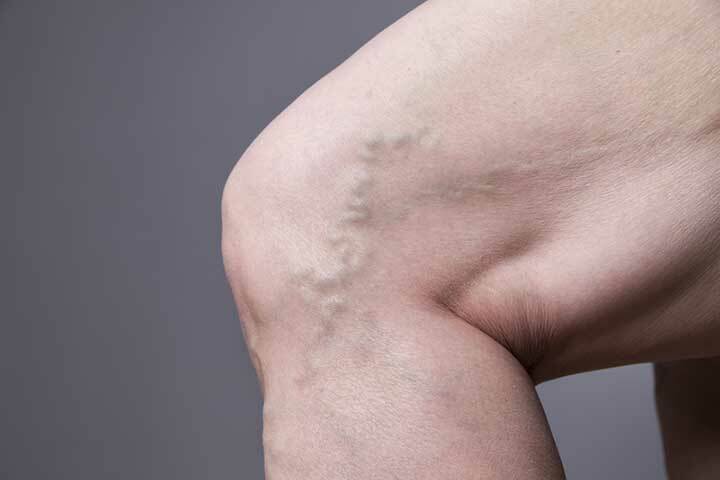 Spider veins indicate the same problem on a smaller scale. Clusters of veins close to the surface of the skin are red, blue, or purple, and can appear on the face or legs. Varicose veins can be more than unsightly. They may cause pain that gets worse when sitting or standing for a long period of time, cramping, throbbing, a heavy leg feeling, itchy skin, darkening skin, and restless leg syndrome. Varicose veins may also lead to more dangerous conditions, including skin ulcers, bleeding, a blood clot just below the surface, and deep vein thrombosis, which is a blood clot in a deeper vein. Part of that clot can break loose and move to the lungs, where is it known as a pulmonary embolus. What’s the Best Varicose Vein Treatment? It depends on the severity of the condition and the overall health of the patient. Sclerotherapy is a non-surgical treatment for spider veins in which a chemical irritant is injected into a vein, which causes it to collapse and dry out. It eventually fades as it is reabsorbed by the body. Foam sclerotherapy, a more recently-developed technique, involves injecting a foam solution into larger varicose veins to close them off. Laser surgery, or endovenous ablation therapy, sends surges of concentrated light into a vein to collapse it. No needles, no incisions. Ambulatory phlebectomy is an older technology in which vein is removed through small incisions in the skin. This procedure is not recommended for patients unable to walk on their own or wear compression stockings. Endoscopic vein surgery is performed on an outpatient basis for more severe cases. A small incision is made and a surgical device at the end of a camera is used to close the vein. Can You Stop Varicose Veins from Getting Worse? The measures for stopping varicose veins from getting worse are the same as treating them at home with conservative measures. “The single most important thing you can do to slow down the development of new varicose veins is to wear compression support stockings as much as possible during the day,” according to the Office of Women’s Health, U.S. Department of Health and Human Services. The pressure promotes better circulation to help control swelling and relieve tired or painful legs. Limiting sun exposure and wearing sunscreen can lower the risk of spider veins on the face. Regular exercise improves strength, circulation, and the health of veins. Even tapping your toes and flexing your feet while sitting or lying helps. Maintaining a healthy weight—a body mass index under 25.0—relieves some of the pressure on your legs. Don’t cross your legs when sitting and try to avoid standing for extended periods. When possible, elevate your legs to a position higher than your heart to prevent blood from pooling in lower extremities. Lower-heeled shoes are better than high heels because they tone muscles that move blood through the veins. Dietary measures include a diet high in fiber to avoid constipation and low in salt to keep blood pressure down. Smoking is not good for anything, including varicose veins. Varicose Vein Treatment at Home: Does Applying Apple Cider Vinegar Help? There are numerous anecdotal reports of apple cider vinegar as a treatment for varicose veins, but little supporting evidence in the professional literature. It is not mentioned as a complementary treatment by the National Center for Complementary and Integrative Health, the Centers for Disease Control and Prevention, and other medical organizations. 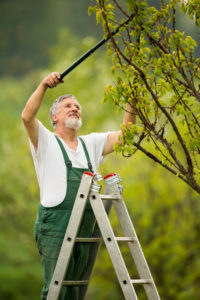 Other home remedies that have been suggested are butcher’s broom, grape leaves and seeds, horse chestnut, and sweet clover, although none have been supported by compelling scientific evidence. The bad news is that varicose veins are very common and if treated merely for cosmetic purposes, the medical costs may not be covered by insurance. But there three bits of good news. Varicose veins are not life-threatening, they can be treated, and you may be able to slow down or prevent more varicose veins from developing by following some common-sense healthy living rules. ablation, apple cider vinegar, blood clot, blood pressure, body mass index, constipation, cramping, deep vein thrombosis, diet, exercise, fiber, health, healthy weight, home remedies, integrative, integrative health, itchy skin, long periods, obesity, pain, restless leg syndrome, skin, smoking, strength, thrombosis, tired, treatment at home, ulcers, varicose veins, womens health. Thank you for the info on varicose veins. Mine are worse since having heart surgery last year. I thought you might be interested in this article on https://universityhealthnews.com: Varicose Vein Treatment: Which Approach Is Best for You?